In the past, almost every new brand was launched with a big advertising campaign. In today’s media environment, that’s not a good idea. Brands like Google, Facebook, Snapchat and Twitter. Launching a new brand with PR, however, raises a number of questions. If no advertising is involved, what changes, if any, need to be made in the overall launch? If no advertising agency is involved, who does the positioning strategy? To stimulate your thinking about these and other questions, here is an outline of six steps a PR launch might take. A PR program usually starts with a leak to key reporters and editors. Internet sites are often favorite targets. When Steve Jobs was alive, he had three favorite leakees: Walt Mossberg of The Wall Street Journal, David Pogue of The New York Times and Ed Baig of USA Today. The iPhone was leaked to the media months before it was launched and generated a host of media stories. But why would a company do this? Wouldn’t that help potential competitors develop their own new products? Sure it would. But no big brand has ever been successful in a category with no competition. The best thing that ever happened to Coca-Cola is Pepsi-Cola. Oddly enough, Coke once sued Pepsi over its trademark. They wanted Pepsi-Cola to remove “cola” from its brand name. They wanted to own the cola category. Not a good idea. The more competitors in a category, the larger the category. Competition creates enormous consumer interest in the category and stimulates a lot of PR. Advertising is different. An advertising program is launched like a D-day attack. It’s usually kept a top secret until the day the first ad runs. Take Google, for example. It held a press conference on October 4 to launch its new smartphone, the Pixel. The next day, October 5, The New York Times ran a third-of-a-page article on the new smartphone. In the same issue was an 8-page Google insert plus two full-page Google advertisements plus a fractional-page Google ad. What a waste. After reading the Time article, who would bother working their way through the 8-page insert which, by the way, contained only 113 words so it wasn’t a warehouse of information. Furthermore, the insert also promoted three other Google products: Daydream View, Google Home and Google Wifi. A PR program slowly unfolds like a flower blooming. A company has to allot enough time for the PR to develop momentum. That’s why a PR launch often starts before the details of a new product or service are firmly fixed. Remember, you’re not introducing the details of a new product. You’re introducing a new idea which can be of much greater interest to the media. (3) The recruitment of allies. Why go it alone when you can get others to help communicate your message? The slow buildup of a PR program allows enough time to recruit allies to your cause. Furthermore, the publicity you receive will often attract volunteers. The advance publicity for the iPhone helped Apple attract many companies eager to supply apps for the phone. In the case of food and beverage products, advance publicity can help companies find outlets to distribute their new brands. Advertising is different. With a big-bang launch, there usually isn’t enough time to line up supporters. Also, advertising alliances usually fall apart over the question of who pays for what. Feedback is an important element in a PR launch. By launching the PR program ahead of the actual product introduction, there is enough time to modify the product or its price before it goes on sale. Supermarkets and other distribution outlets like to participate in the brand-building process. They will often make many good suggestions you can use to modify the product, the packaging, the pricing and even the PR. Advertising is different. Once a big-bang advertising program is launched, a company is committed. There is little feedback and no time to change the product or service before it’s introduced to consumers. Feedback from a PR program also allows a company to modify the brand’s message for greater consumer appeal. 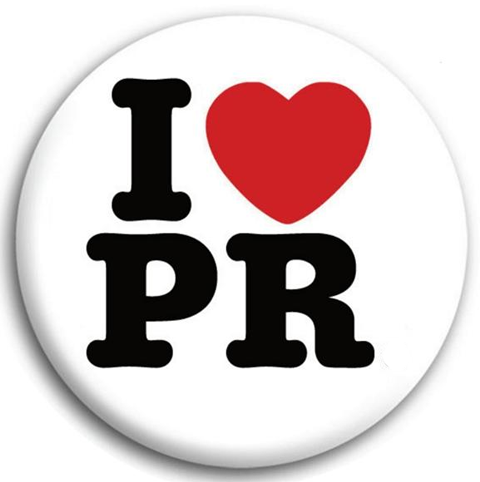 The media looks at your PR messages from the consumer’s point of view. You ignore this media feedback at your own peril. David Ogilvy wrote one of the most-famous advertisements ever run. At 60 miles an hour the loudest noise in this new Rolls-Royce comes from the electric clock. Only he didn’t write the headline. As the first paragraph of the ad explains, it was the Technical Editor of The Motor magazine that wrote those words. Advertising is different. Once launched, an advertising program is cast in stone. It’s difficult, expensive and embarrassing to try to change strategies and messages in the middle of an ad campaign. How long should the PR phase of a new product program take? It depends on a lot of factors. That’s why we recommend a “soft” launch. Take the three social networks. Friendster had a national launch in 2002. Myspace had a national launch in 2003. And Facebook was launched at Harvard in 2004. Facebook rapidly reached 90 percent of Harvard students and then moved on to the eight universities in the Ivy League. Then to all college graduates. Three years later, Mark Zuckerberg announced that Facebook would be for everybody. Headline in the May 25, 2007, New York Times: Facebook goes off the campus. In 2009, Friendster was sold for $26 million. In 2011, Myspace was sold for $35 million. And today, Facebook is worth $370 billion on the stock market. Now, who had the better marketing strategy? Advertising is different. An advertising program is usually tied in directly with the product’s availability. The first ad runs on the first date the product is available for sale. In almost every way, the launch of a brand via PR is exactly the opposite of how a brand is currently launched with an advertising program. And since many companies are committed to employ advertising in launching a new brand, it is unlikely that many companies would follow these six steps. But hopefully, a few might be willing to try.